Zest Up Your Water, Smoothie or Workout! Tangerine Vitality Essential Oil Zests up Your Fitness Routine. Place in water, smoothies and marinades with this limonene rich essential oil! This oil may help maintain a healthy lifestyle regimen and may create a feeling of satiety*. The simplest way to take advantage of the benefits of Tangerine every day is to use Tangerine Essential Oil in your water or smoothie! Tangerine oil is always available and the oil doesn’t go bad when you don’t use it right away! Drink a lot of water? I do! Place a drop of tangerine oil in your water or your kids’ water and drink the benefits of tangerine all day! Kids just seem to love the taste of tangerine and orange oils! What better way to get them to drink more water then adding in their favorite essential oil! Do you love the taste and smell of citrus oils? I do! Try Citrus Fresh essential oil blend that contains tangerine, orange, grapefruit, lemon and spearmint essential oils. Place a drop in water to cool off from a hot day or create an uplifting sports drink! Either way your body will be happy! Read below for more information on Tangerine vitality essential oil and how to use it and what to use it for. This section will also provide you with some fun suggestions, safety precautions for you and your pet! As I receive new tips and testimonials for Tangerine Vitality Essential Oil they will be added to the page, so check back frequently! Want to Purchase Therapeutic Tangerine Vitality Essential Oil? Go to the Oil Shop! 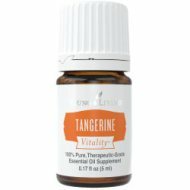 Tangerine Vitality Oil Here! What are the Documented Uses and Benefits of Tangerine Vitality Oil? May supports healthy digestive system*. Antioxidant support. 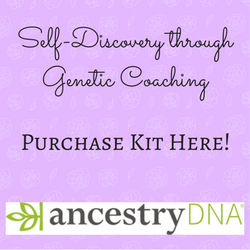 Want to Learn about Tangerine's Emotional, Spiritual and Other Uses? Then go to the Tangerine Essential Oil page! Dietary Supplement: place several drops in capsule with olive oil and take internally. If dilution preferred use 50:50 dilution-one part essential oil: one part vegetable oil. Place in favorite drink or baking recipe. It is Generally Regarded as Safe (GRAS). Although it may be used as a dietary supplement, it is advised not to use it in this manner for children under 6 years of age. Add Tangerine Vitality to NingXia Red Wolfberry Drink, freeze and enjoy!